Let’s jump right into this week’s roundup. A roundup that contains lots of stories from Jackson. Starting in Jackson‘s Belhaven Neighborhood, over the years, First Presbyterian Church on N. State Street has been buying homes adjacent to the church property. One recent acquisition of a historic house has neighbors worried about what the church’s long-term plans are. According to the article, the church wishes to use the house at 772 Pinehurst Street, also known as the McRae-McClinton House according to the MDAH HRI, as meeting and office space, which would require a change in the property’s zoning. The city will host an open house on October 25 at 1:30 p.m. at 200 South President Street in the Andrew Jackson Conference Room to hear anyone’s concerns or comments about the possible zoning change. The house is a contributing element to both the local Belhaven Historic District, and the National Register Belhaven Historic District. Next from Jackson, we have a story about the rehabilitation of the former Walthall Hotel. The article focuses mostly on the flooding potential the building faces and the flood-proofing the city will require to be in place. Since the structure is currently listed as a contributing element in the Smith Park Architectural Historic District, it would be eligible for preservation tax credits. The Walthall Hotel is the subject of some of MissPres’s more popular posts, such as Walthall Hotel When It Was New and Unsheathing the Past…The Checkered History of the Walthall Hotel. Another story from Jackson highlights the sale and upcoming renovation of the former Kennington Department Store, now known at the Heritage Building. The article hints that the work will be focused on “new elevators, heating and cooling systems, a new roof and renovation of restrooms.” Since the building is a contributing element in the Smith Park Architectural Historic District, the work could be potentially eligible for preservation tax credits. 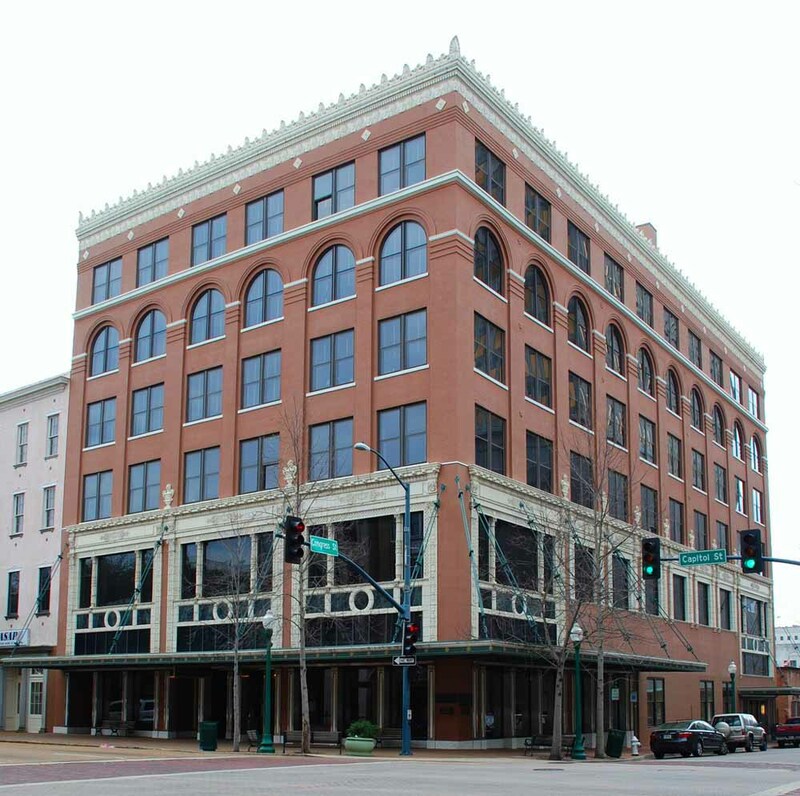 The article goes on to state that as part of the larger project, adjoining buildings on Capitol (Street) will be converted into mixed use purposes. The article ends with the vague statement that “a private, New Orleans-style courtyard for Heritage tenants will be created.” Hopefully this will not be at the expense of any historic space or fabric. Now the bad news stories out of Jackson. 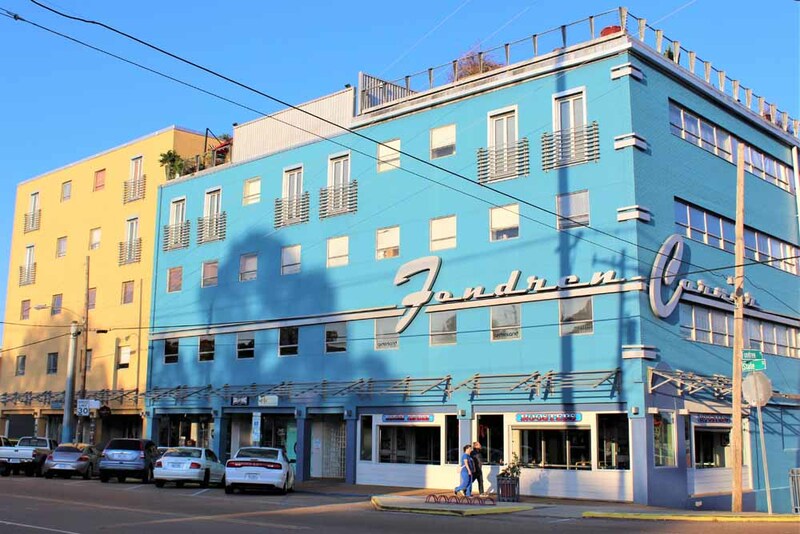 In what may be a text-book case about how to be a terrible developer, the latest bungle of the Fondren Hilton Hotel project is that the demolition of historic structures was done without asbestos abatement, and MDEQ demolition approval was not granted prior to demolition taking place. This project is literally adding injury to insult. This onslaught to build hotels in Jackson‘s Fondren neighborhood, at the expense of what would make folks want to visit Fondren has landed the neighborhood on the Mississippi Heritage Trusts list of the state’s 10 Most Endangered places in Mississippi, as reported on by the Jackson Free Press. The Baldwin Funeral Home in Pontotoc’s historic district gave new meaning to the term “remodel” when their Facebook page stated “BALDWIN MEMORIAL FUNERAL HOME OF PONTOTOC WILL BE UNDERGOING MAJOR RENOVATIONS BEGINNING MONDAY” What’s left to renovate folks? From DeKalb, we have news that the Kemper County Historical Association, looking to update historical markers, will host a fundraiser Saturday, Oct 28. Date Created: 1940 May. Medium: 1 negative : safety ; 3 1/4 x 4 1/4 inches or smaller. 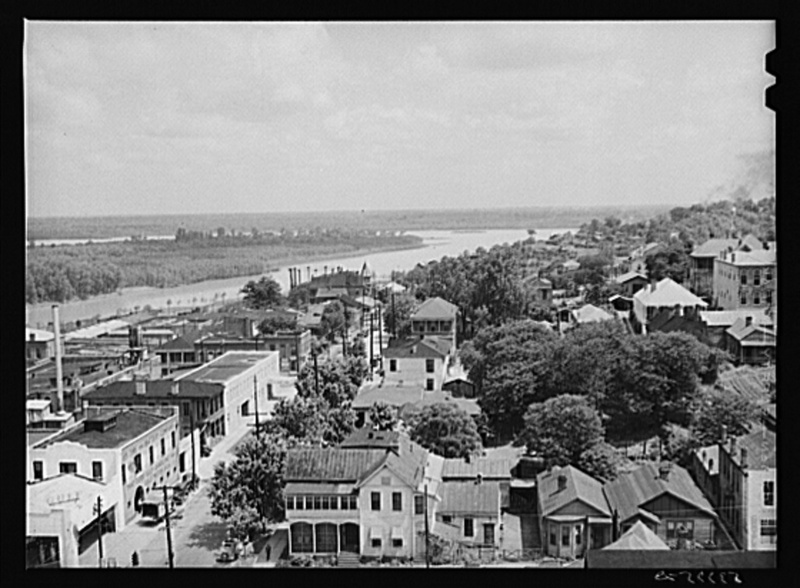 From Vicksburg we have news that the city will spend half a million dollars to demolish housing that may be historic. 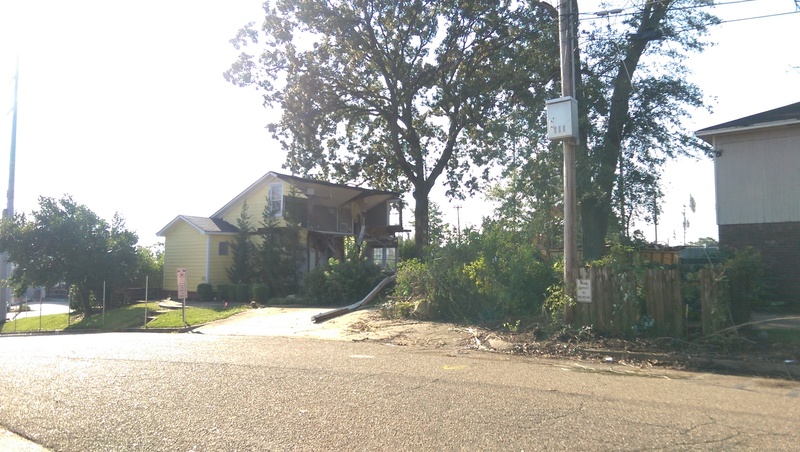 The article states that the buildings to be demolished with grant money will come from the city’s present demolition list. 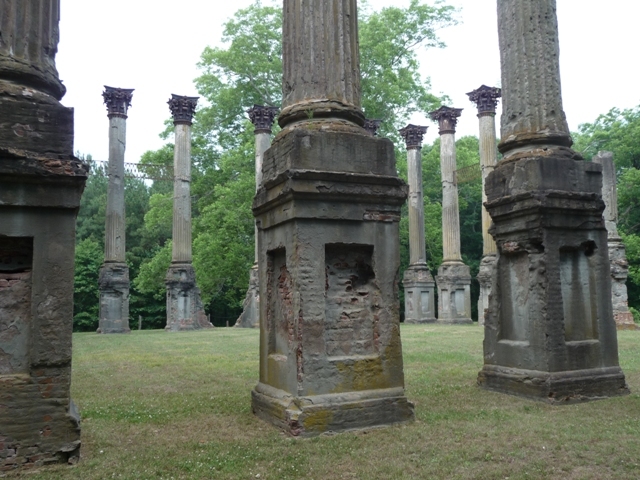 In Claiborne County, Windsor Ruins is in need of up to $3 million worth of stabilization work. The bit of the article I was able to read states that the damage to the columns is likely occuring because the columns were originally meant to be protected from the elements by the roof of the house, rather than exposed to the weather as they have been since the house burned in 1890. The Portland cement applied as part of early but misguided preservation efforts is not helping to preserve the columns either. In Jackson County, some constituents are calling for the restoration of the Highway 57 bridge that was damaged by a semi truck in September. Originally the bridge was slated for replacement but as it is historic, MDOT had to make concessions for its preservation. But now, based on the articles below, it sounds like the MDOT plan all along was to thwart any effort to save the bridge and simply demolish the structure. According to the Hattiesburg American Six north Mississippians have been sentenced in federal court to prison after being convicted of removing Native American artifacts from government land, including digging in a Native American burial mound. If you know of any preservation-related news items not mentioned, or if you have more information about a story above please let us know in the comments below. Re: church buying adjacent property, whenEVER did you hear of a church buying adjacent property and NOT tearing down any houses, historic or otherwise, on the property for the purpose of building a parking lot? NEVER! Re: Indian mound looting, the Clarion-Ledger and the North Mississippi Daily Journal newspapers had several articles about that in the past couple of months. Yes we’ve shared some of those stories in previous round ups. This weeks story relates to the sentencing. I know that amature archaeology is a popular hobby but i don’t think many folks understand how destructive and illegal it can be to dig at historic sites. The 11th Annual Historic Cemetery Tour will be at Krebs Cemetery, Pascagoula, on Thursday 26 October from 4:30 to 7:30 PM. The theme is MISSISSIPPI STATEHOOD and all of the characters portrayed were alive in 1817 and are interred in the Historic Krebs Cemetery. The Museum will be open, and entry is through the gates to the La Pointe-Krebs House.